Shelters are full of older dogs hoping for a second chance at life. Many of these animals were once owned and loved by someone, but for various reasons end up homeless. A lot of people think that if they drop their older dog off at the shelter, the dog will get adopted and have a great life with someone else. Sadly, most of the time, this just isn’t so. Many of these animals become depressed and are overlooked in favor of younger, cuter dogs. When most people think of bringing a dog into their family, they are thinking of a warm, cuddly, tail-wagging, wet-nosed puppy. 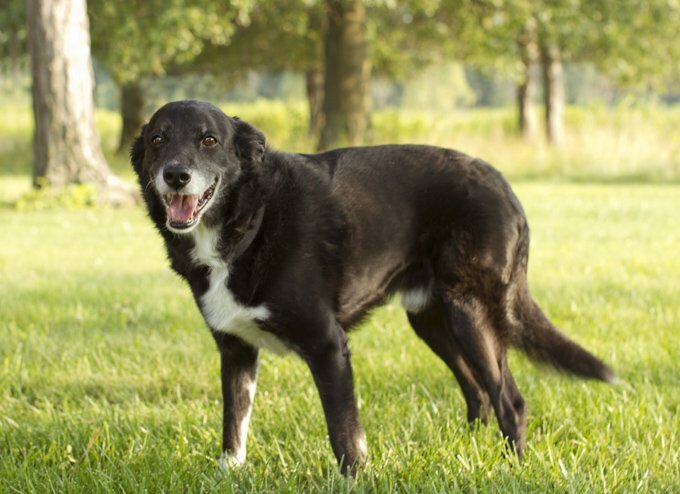 While puppies are lovely, there are a lot of solid reasons to consider adopting an older dog. 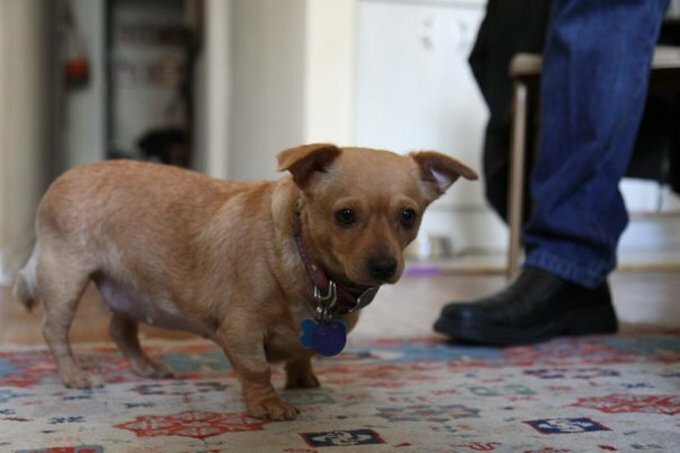 Senior dogs need homes just as badly as younger dogs, and make loving and loyal companions. Help spread the word during Adopt a Senior Pet Month, which is observed throughout the month of November. 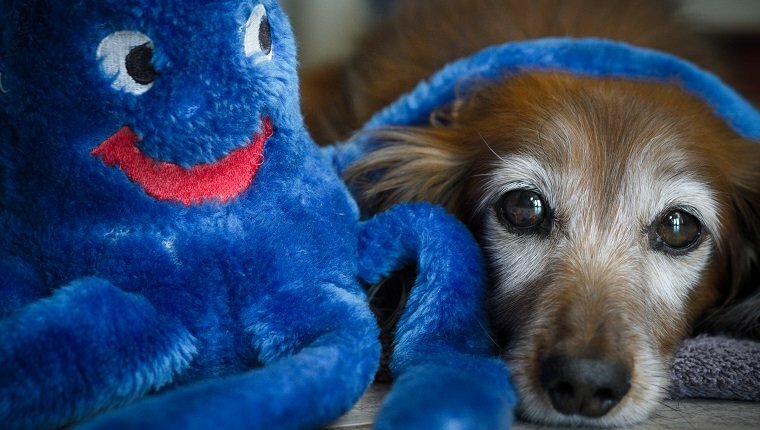 Here are a few reasons you should adopt a senior dog. By adopting an older dog, you are fighting for the value and beauty of life at all ages and stages. Shelters are frequently overcrowded and older dogs are often among the first to be euthanized. In choosing an older animal, you are truly saving a life. It’s heroic to see beauty and love where others often don’t even bother looking and give an older dog a second chance to live out the rest of their life with dignity and love. Most older dogs have already mastered training basics. They know outdoors is for potty, and shoes are for walking, not chewing. A senior dog has learned many of life’s lessons already, and they are quick to understand what you’re asking from them. Older dogs, especially those who have once experienced love and affection, will try to please you by being obedient and showing good house manners. Older dogs are a known commodity, easy to assess for size and temperament. 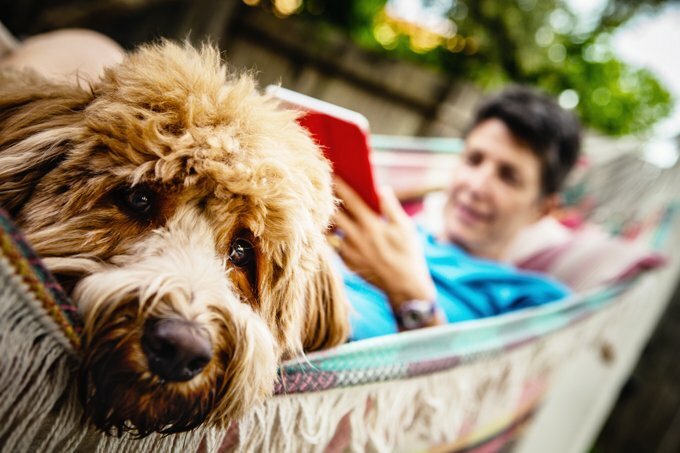 You won’t be wondering just exactly how big they’ll grow, and you’ll know who the dog is–aloof, friendly, shy, or whatever personality type–so it’s easier to decide how the senior you choose will fit into your family and your lifestyle. Don’t adopt a dog unless you’re prepared to give them love and attention, spend money, and make some personal sacrifices. A senior dog is often less demanding than a highly-energetic, untrained puppy. While many older dogs still enjoy a brisk daily walk, they’re also content to nap and cuddle, and they can fit into many households with ease. A senior dog won’t run you ragged. Most grownup dogs don’t require the constant monitoring and ongoing training that puppies need, so they’re a good choice for older people or busy families with young children. Most senior dogs have already been socialized and learned what it takes to get along with humans and, often, with other pets. You can skip a lot of the training and socialization that puppies require and just get to the cuddling. Older dogs know the routine–when you open the car door they jump right in. They know what the word “walk” means or “treat” so you can have more meaningful interactions with your older dog without years of training. The reward for spending time with your new senior companion is the quick bond you create that builds a special future together. Older dog are eager to learn new tricks. That may go against what you’ve heard in the past, but it’s true. Dogs can be trained at any age. A senior dog, given a new chance for a loving home, will reward your care with unwavering devotion and do their best to please you, which makes teaching new tricks pretty easy. 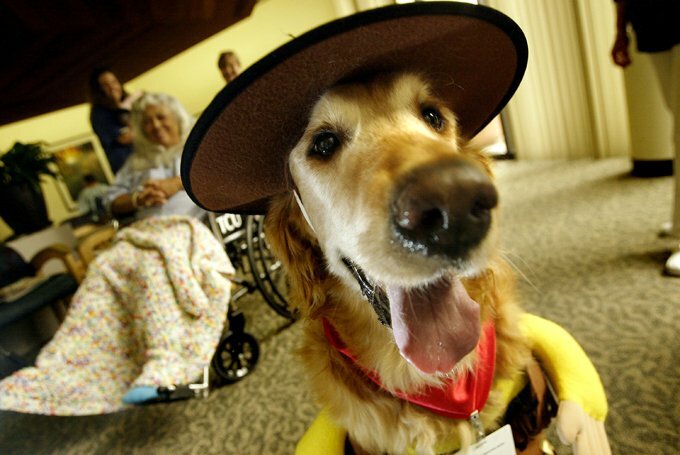 Not to mention, older dogs often make excellent therapy dogs. If you’re going to bring home a new dog, it’s important to educate yourself so you can give the dog time to adjust to their new surroundings and family. 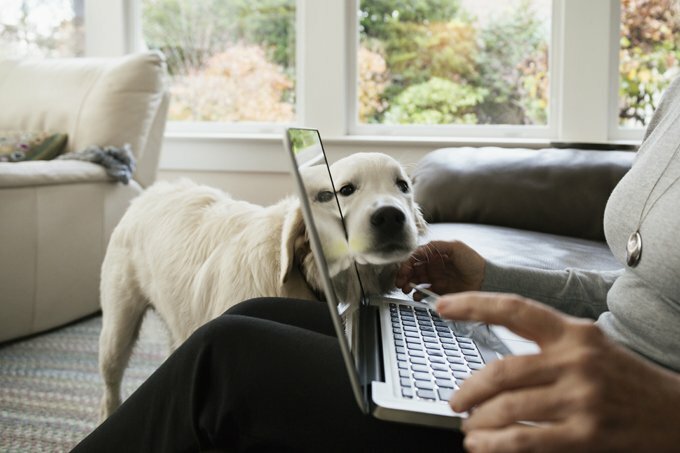 Observe your new dog to get familiar with their personality, likes, and dislikes and to see how your dog is communicating with you. A kind, understanding attitude helps them make the adjustment with ease and comfort. 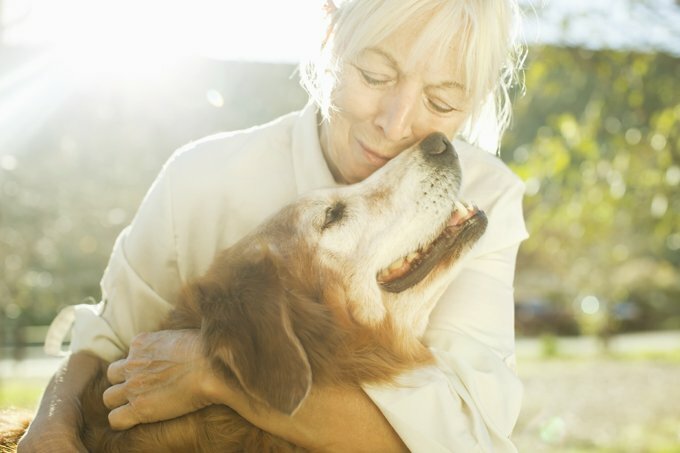 The privilege of loving an older dog can make every day special. For those reluctant to consider a senior because the possibility of a painful loss seems closer, remember that life offers no guarantees. Quality of time together matters so much more than quantity. Would you adopt a senior dog? What other benefits do older pups give? Let us know in the comments below!